W1726 was successfully added to your cart! W1726 could not be added as a favorite. Please make sure you are logged in. 26 piece set. 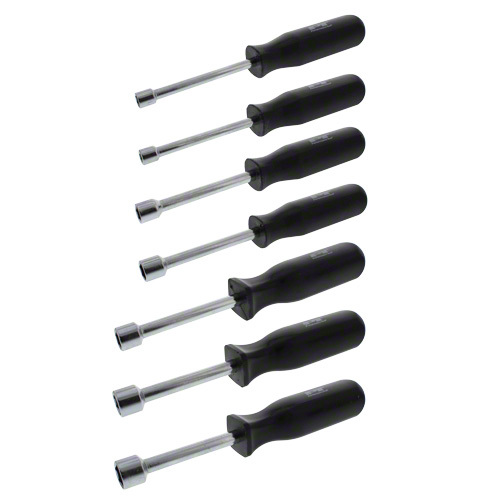 Screwdrivers with chrome vanadium blades, magnetic tips and non-slip molded grips. Free standing storage rack with removable legs for wall mount. 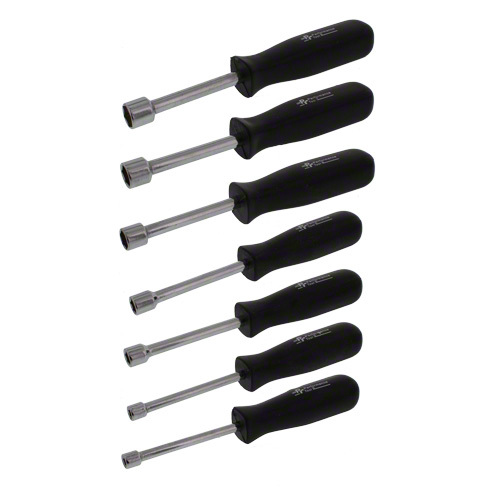 Slotted: 1/4x 1-1/2", 1/8x2", 1/8x3", 1/4x4", 3/16x4", 1/4x5", 5/16x5", 5/16x8"
Phillips: #2x1-1/2", #00x3", #0x3", #1x4", #2x4", #2x5", #3x5", #3x8"
Star: T14x4", T20x4", T25x4", T27x4", T30x4", T40x5"
Pozidriv: PZ0x3", PZ1x4", PZ2x4", PZ3x5"
25pc. 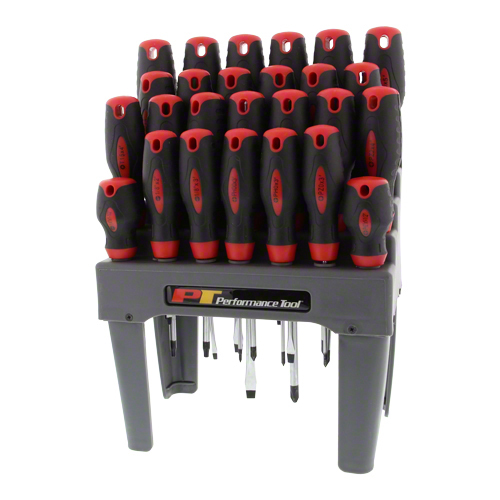 allen wrench set has both standard and metric sizes in a handy fold up case. 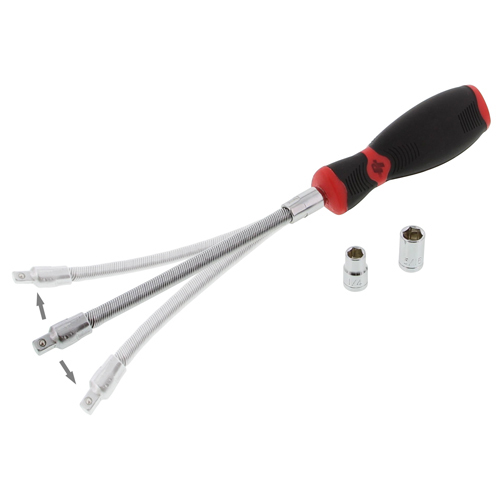 Hose clamp driver with flexible shaft. 10-1/4" overall length. Includes 1/4" and 5/16" sockets. 7 pc. set. Sizes 3/16", 1/4", 5/16", 11/32", 3/8", 7/16", 1/2". 7 pc. set. Sizes 6mm, 7mm, 8mm, 9mm, 10mm, 11mm, 12mm.